At Zazzle there are many designers with stores full of photographs, artwork, graphic designs. No matter how unique and original their work may be, unless they get the word out about what they have, sales may not happen as they had hoped. Zazzle has thousands of products, so how is a customer ever going to see your special designs? Tagging with appropriate and useful keywords is a must. Taking time to write a good description of the product is helpful for searches within (and outside) the site. But I believe that the most successful Zazzlers do a lot of their own promoting. Here I will list just a few ideas, and a variety of ways, to get the word out about what you have for sale. The newest way to promote at Zazzle is by using collections. Personally, I love this idea. I'm not yet sure how many visitors and sales it will bring to me, but it has great potential. Collections can be created for any theme, product, occasion, event, or all of the above. Keeping each collection specific will help you promote it at the appropriate time, or on the appropriate blog / site. We now have the option to add any of our Zazzle products, new or old, to personal collections. Use the "Add to" button on the product page to either add the item to an existing collection, or create a new one. As you can see in my image below, I have grouped products into "Beach House Pillows", "Gifts for Guys" and "Floral Wedding Programs". I have pulled items from my 12 stores as needed to fill each collection. We can make as many groupings as we want, and they can easily be organized and shared, with our referral links included. They show up nicely on Pinterest. Items from stores that are not our own can also be included. I like to do this when I want to promote for a holiday or occasion and try to gain some referral money using products created by the best Zazzle designers. The "Foodie" collection features items from other Zazzlers because I don't have many food items posted myself. We can choose to show the collections within each of our stores. Just tick off the box, or boxes, next to the name of the store(s). When sharing using the "link" option, we can choose how we want the image to show. Don't forget to add a banner image to the top of each collection page. The collection page will look more professional with a top image to match the theme of the collection. This is a new and easy way to group similar items and promote to a specific audience. There is really no excuse for overlooking Twitter to advertise. I don't know how many of my sales come from my efforts to tweet products, but Twitter is and easy way to get your products out there. I have set up automatic tweets on Twitterfeed and also tweet products myself, and pages I've written that relate to products, throughout the day at intervals. Zazzle makes it easy to tweet by providing a Twitter share button on each product page. Sometimes I tweet a big sale, but more likely I will tweet a new product I've made, or something I come across in one of my stores which I think deserves a look. I also occasionally tweet Zazzle products made by others. As with all things, don't overdo it with the sales pitch, and try be personable on the Twitter site. Add images to tweets to generate interest. People love pictures. I know, from viewing my Twitter stats, that tweets with pictures get more attention. See my 'tweet with an image' sample below. Tweet with a picture / photo. Here is an example of what your twitter post can look like. Here I featured a collection image. It's so easy to do, there is no reason not to. Pinterest has been going strong now for a while, and many people use it as an easy way to post a picture with some information about a product. It works well for those of us who use Zazzle. Every product page gives us the option to "pin" a product. See the image here, which is what will show up next to every product. Simply click the red "P" and add the item to your preferred Pinterest board. Before pinning, you will have the option to edit the description. Intersperse Zazzle items with pins from other sites in the same category. Don't make it spammy. But if you pin a few times a day, it's an easy way to show the world what you have for sale. Like everything else, be interactive on the site to get more followers. Pinning from your blogs is a good idea too. Set up a Google account and begin to use Google + (Plus) to engage friends, co-workers and potential customers. As with every other social media site, be genuine and real and throw in a few products for sale along the way. I struggle with this, since work is what I spend most of my time doing. But I love to garden and go boating, so I try to include interesting information about my lifestyle interspersed with some new products I've made on my G+ profile. Zazzle designers have groups you can join on the G+ site also. Add people to your circles and follow those you want to communicate with. It's a good way to encourage fellow designers while becoming better known yourself. Adding a product link is easy, and the product image will appear. Blog about Zazzle, your interests, your art, or anything that ties in with what you sell. Blogging is where I have succeeded in finding customers while writing about what interests me. If readers visit my seashell blog or my hydrangea blog, they obviously are interested in those subjects. It therefore makes sense that they may also be interested in buying related items. WordPress is my favorite place to blog. I am not a writer who enjoys writing. I prefer posting on my blogs as opposed to writing a full page (like this one) because I can get away with posting any amount of text I want. Sometimes my posts are mostly photos, but I always try to write something worthwhile too. What do you love to do? Are your Zazzle products related to that? Most likely they are! * I love to garden and hydrangeas are among my favorite plants. On my hydrangea blog I show my progress within my own yard and share what I have learned about hydrangea care. Occasionally I write about a product I have made, and I have a few links to my online Zazzle store. * I have a seashell collection and lived in Florida for most of my life. My blog also has links to posters, postcards and sometimes other things that readers may be interested in buying that relate to seashells. Blogging can help you create products that people are looking for. Updating often leads to increased visitors, and checking on which tag words or phrases have brought the visitors to your blog may give you an indication of what those readers are looking for. Use that info to create new products and then write about them on your blog. One word of caution when it comes to blogging on a free site. 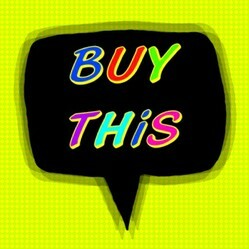 Don't make your blog all about selling products. That is not allowed at WordPress unless you pay for your blog. Track your store visits so you know where they come from. Adding all your writing pages to Google Analytics will give you the ability to find out where visitors to your store(s) are coming from. It may take a while - maybe a year or more - for people to begin to read blogs and pages you write that have something to do with your products, but once you can track them from your blog to your store, you will be encouraged to update that blog a lot more often! Use the little arrows, star and lines beneath each tweet to see how people engage in your tweet. You can reply, share, favorite, copy, pin to your profile, or delete it by using those little buttons. My favorite is the three lines, which tell me my tweet activity. For this particular tweet, when I wrote this paragraph, the following is my activity. It shows that I've had 28 impressions and 2 engagements, from June 5th when I posted it, until today, which is June 10th. It may not seem like a large number, but it's something. This image will always be available to anyone who views my Twitter pictures and videos section, unless I delete it in the future, so these numbers will likely go up. Which amount of online effort seems to work better to bring sales for you? Social media is a quick way to advertiste as opposed to writing a page. My own website, and / or blogging and writing articles is where my visitors come from more often. I think my blog is the best way I get traffic to my store! I will use all of the website and social media approaches, thanks for all the great info. Cool page. Writing articles seems to work well to promote products. I do use Twitter, but most of my Zazzle sales seem to come from writing articles about products. Using Facebook, Twitter, StumbleUpon, etc. really seems to bring views to my store. a few here and there but that's it. I don't know what else to do. Social media is always a nice platform to share things, esp products, on. Brand yourself by showing up at various sites and forums to become known. If you are smart, you will want others to promote your store too. It helps to get the word out about what you do. Brand yourself as the one with the [topic here]. Hopefully you will find a unique niche area to build upon. That way you will become known as the person to go to for those items. Many online people I hang out with already know that my most popular niches are related to weddings, seashells and hydrangea flowers. I hope that they will think to link to my products if they need something from those lines. Because Zazzle offers referral money to anyone who has an account, and brings in sales from outside the site, anyone at all can link to your products. I have seen my own wedding stationery featured on some very nice sites. Sometimes the website owners will tell me they have featured my things, but more often they just help themselves to what they need. The more places around the internet your products show up, the more chances of sales - as long as they are linked correctly and go back to your store! Writing blogs, articles here at Wizzley and other writing sites, or posting in forums are a few of the ways to get your "brand" known. Group by design or by product? The question of how to organize your Zazzle store is one that shopkeepers have had forever. Once you begin promoting your store, you will want it to look nice once potential customers visit. And you want them to be able to quickly find items they want. Now that Zazzle has made finding items by product very easy, by putting a list on our store sidebar, I believe that products should be organized by design in category holders. Beneath each category we can also have sub-categories which I was in the habit of using. For instance: have a daisy category with "yellow daisies", "pink daisies" and "green daisies" within that one category. But the problem with sub-cats is that the products can't be re-arranged. I now prefer to have only main categories. Keep in mind that the category holders must have images, or they won't show up in your store! I've written a page about how to do that. This is how to organize items within a category: Go into the category and choose one or more items that you want to move. Check off the boxes beneath the items and go to the top area under "actions". Click on "move to first" or "move to last". Shortly the items should show up where you've put them. You can also drag and drop. For those who use Quick Create, a whole slew of products can be created at once with one design. It's best to have one category for each batch, I would think. Open a "Page" for you specific store. Facebook allows anyone to build a storefront page where you can promote your own products and even those of others, as you choose. I recently opened a "Holiday Store" page where I promote - you guessed it - Christmas stuff. It is very easy to add a product from my Zazzle store by using the Facebook button under the product. Share anything on your page such as new products, sales, promotions and product information. Get Zazzlers and friends to "like" your page and build it as you build your supply of products. I'm not much of a Facebook person, but I do occasionally post items in my store pages on the site. To make it work best, you should be involved and be interactive there, but it's not necessary. Google Analytics shows that I do get visitors to Zazzle from my FB store pages. Here is a link to FaceBooks "Create a Page" area. Starting a website that pertains to what you sell can have great, long-term benefits. Don't expect immediate upticks in sales, but publishing on it regularly can bring viewers you would not have ordinarily reached. From my time spent blogging and writing online, I have learned that all things take time. It's no differnt when you begin a blog or site. Try to stick with one niche theme and learn as much as you can about search engine optimization (SEO). Learn to write well, and be consistent with promoting the site. Don't be pushy and let the site look like you are desperately trying to make a buck. Any sites I visit which are loaded with advertisements, I leave right off. I have two sites for my Zazzle wedding stores and I had help from the SEOPraxis web-hosting site when building them. They look nice and professional and show my items well. You may be able to create your own site, and save some money in doing so. Just be sure it's the type of place whree you can freely sell your Zazzle items. Free WordPress blogs don't allow it. You May Meet Great People Online Who Will Promote Your Stores For Free! The Zazzle forum has a special section devoted to this. You may be surprised to learn that other people may be very happy to promote your products and / or store. Because of the referral system at Zazzle, it's possible for others to make some money from sending sales your way. The Zazzle forum has a section entitled "promoting and generating traffic" where writers of articles and website owners can list what they are looking for to advertise. If your items fit the bill, just leave them a link to use, or whatever they ask for. Pass them out and post them on bulletin boards. I will admit that I am not very good at using my own business cards for advertising, but I do have them and you should too. Keep your eyes open for opportunities to give out cards and look for bulletin boards where you can pin them. Stores may let you leave them on the counter if you have a holder and the cards relate to what the shop sells. It doesn't hurt to ask. Zazzle offers discounts on business cards throughout the year, and has special pricing at certain times for it's ProSellers. How else do you promote online? Thanks Taz. I'll still use Pinterest. It used to work better for me, but it's so easy I can't pass up that promoting opportunity. @Taz, I have also heard that about Pinterest and honestly I don't know. I make about 1 referral a month even though I use my code on Twitter, Pinterest, my blogs, FB and every time I promote anything from Zazzle. I am selling a good number of products each day, but somehow get very little in referral money. Does Pinterest remove our referral link? I remember reading this somewhere, just want to be sure. @T you're welcome. Glad it was helpful, and I hope these ideas work for you. Pinterest does work well. Now that we have the ability to make "collections" at Zazzle, the pins can show more than one item. Twitter works for me, but mostly if I include a picture with the link. People like pictures. I don't do much social media but I've noticed that Pinterest does work really well. I don't think StumbleUpon is set up well. I don't think it's facile to use. You can find things but I never notice follow buttons, for instance, and don't follow people the way I do on Pinterest. I should also look at the Zazzle forum. Thanks for all the tips! TQ for the good sharing.